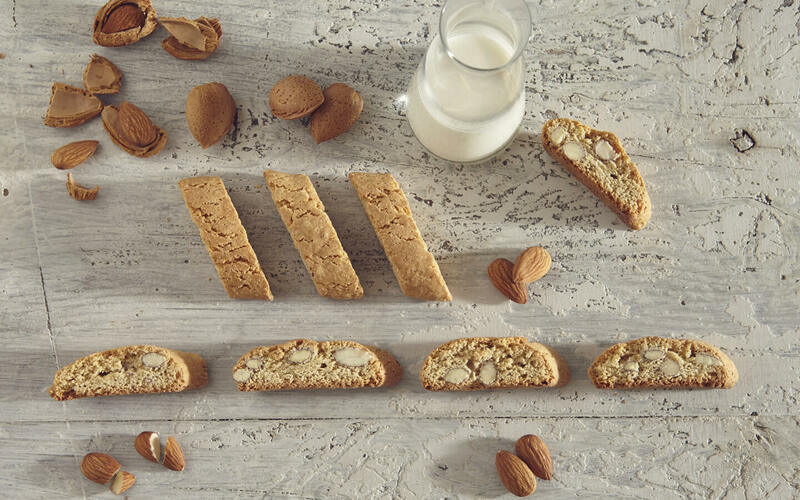 Cantuccini, an original Tuscan recipe, are the unmistakable diagonally-cut, twice-baked biscuits; a shower of almonds combined with a delicate hint of vanilla and citrus, a crunchy delight that exhilarates the senses. 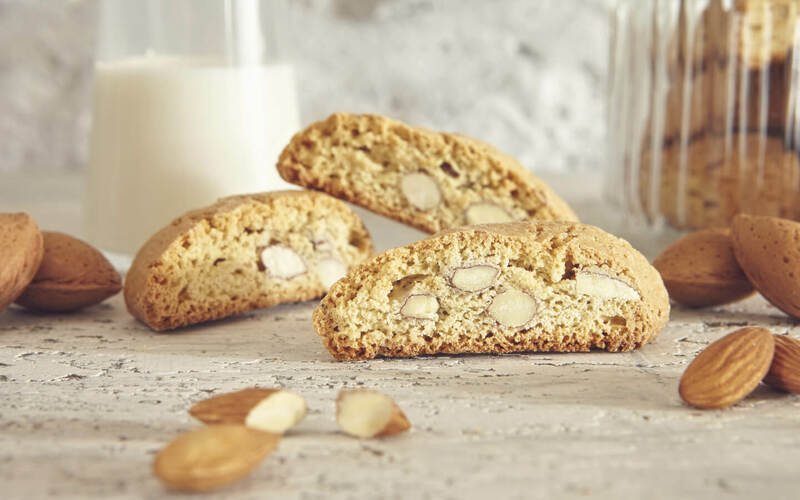 Eggs, fresh milk, almonds, sugar and honey are the secrets of a recipe that follows tradition, but retains its charm over time, from its appearance at the Medici court, creating an unbreakable bond with Tuscany. Sapori’s pgi (protected geographical indication) tuscan cantuccino, the unmistakable diagonally sliced biscuit of historic tuscan tradition: a shower of almonds meets fresh tuscan milk and honey, fresh barn eggs and sugar to create a sensual delight with a unique crunchiness (Unique because at sapori we bake cantuccini twice!). 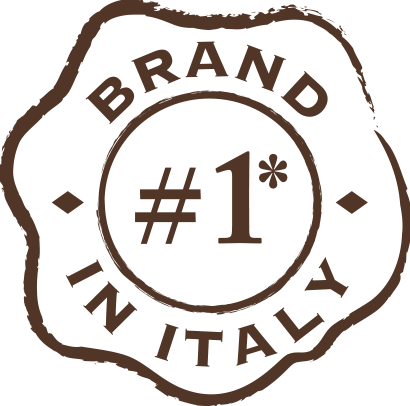 Wheat flour, sugar 30%, almonds 20%, egg yolk 4,8%, eggs 4,8%, fresh pasteurized whole milk 4,8%, butter, honey 0,5%, raising agents: disodium diphosphate – sodium bicarbonate, salt, flavourings. May contain soy and other nuts. 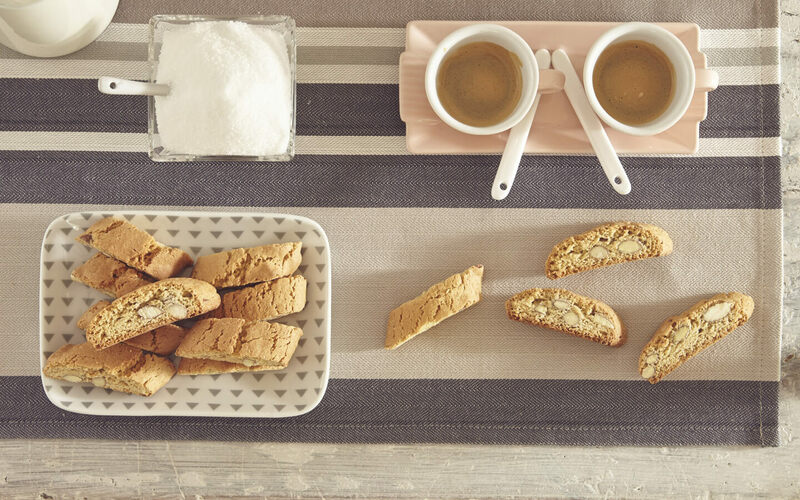 To savour alone, with coffee, tea or dipped in vin santo (sweet wine) as in the tuscan tradition, for a real moment of indulgence!